During our Land of Barolo tour last week, we got the news this week straight from Albino Rocca’s granddaughter, standing on the patio of the Barbaresco winery he’d founded overlooking the Ronchi cru the Rocca family had made famous. I’d asked about the family patriarch, since the last time I saw Albino Rocca, he was old and tired, though keenly interested in hearing what our group had to say about the wines we were tasting. “He died four days ago” at age 93, said Monico Rocca with visible sorrow. “He’d been suffering for the past six months,” so it wasn’t entirely unexpected, nor necessarily for the worst, as these things go. Still, what a loss for the three sisters: Paolo, the winemaker; and Daniela and Monica, who handle sales, exports, and administration. They’d been working at the winery for decades now, but for the past five years they’ve been doing it only with Albino’s counsel. Their father, Angelo, had tragically died in a plane crash at age 64 while piloting an ultralight aircraft over his beloved Langhe hills on a foggy day in 2012. The proverbial nice guy, Angelo was the one who’d increased their vineyards holdings, thus adding a few more Barbaresco cru (including the acclaimed Ovello Vigna Loreto), who took the farm organic, who expanded to an international market, and who steered the ship stylistically. He was among the Piedmont pioneers of barrique aging in the 1970s, then in 2004 he was among the first to shift back to large 20hl casks, believing these allowed each nebbiolo vineyard to better express itself. All of this was laid on the foundation created by Albino Rocca. 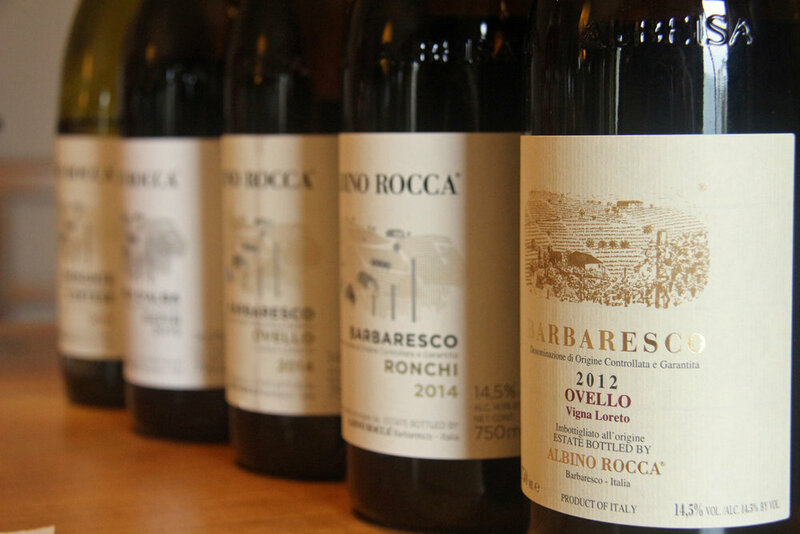 He founded the Albino Rocca winery in the 1960s, taking the bulk-wine facility he’d inherited from his father, Giacomo, and transforming it into a proper winery—one of the early private labels in Barbaresco. That inheritance included the Ronchi vineyard, just below the present-day cantina. Skeptics pooh-pooed it at first, but that the single-vineyard cru has since achieved superstar status, as has the winery. That’s thanks in part to those original nebbiolo vines, now 50 to 70 years old and giving their best, which the family has kept going with meticulous care.